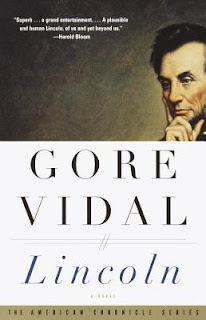 "Gore Vidal's Narratives of Empire series spans the history of the United States from the Revolution to the post-World War II years. With their broad canvas and large cast of fictional and historical characters, the novels in this series present a panorama of the American political and imperial experience as interpreted by one of its most worldly, knowing, and ironic observers. After reading “Abraham Lincoln: Vampire Hunter” by Seth Grahame-Smith, which I really loved, I was interested in learning more about the person, who inspired the book so to speak. So, that’s the reason I picked up “Lincoln” by Gore Vidal from the library. It is a really, really massive historical fiction book and it took me a whole week to finish it. Yes, a whole week. But I really liked the book. I don’t know if it’s historically accurate but I learned a lot about Lincoln and his entourage and about the Civil War. 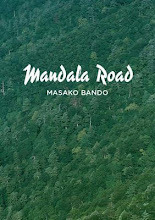 There is not much I can say about the story, because I focused mainly on the characters while reading. Still, I found the book to be full with intrigues and conspiracies and drama (yes, I’m talking about Mary again). The Civil War was not very heavily expressed in the book although there were some very vivid scenes. The book was more focused on the Politics and how the government works and how decisions were made. I’m actually not really interested in Politics, but I liked this book and that side of it didn’t bother me that much. That may be the reason I finished the book so slowly although I think it’s because the book was huge and with tiny font. So, despite of the fact that I gave this book a 3-star rating on Goodreads, I recommend it to people who want to know more about Lincoln.